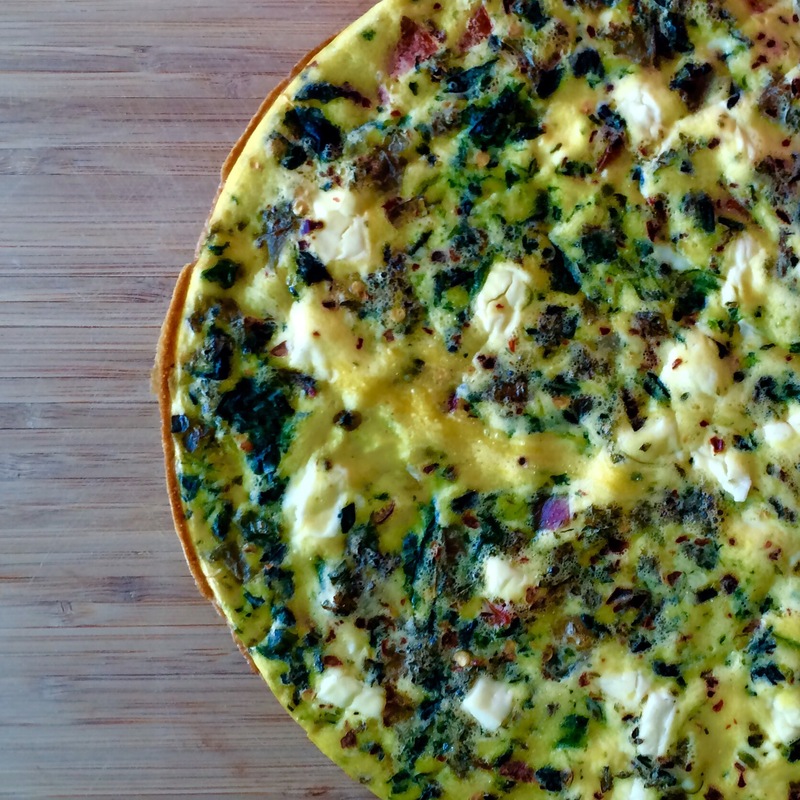 I love omelettes, they are the perfect breakfast and this one packs well for a lunch at work. It can be eaten hot or cold. This makes 4-8 portions depending on how many eggs you want to eat. I make it 4, so it ends up being a 2 egg omelette with cheese and veggies. In a frying pan and medium heat fry the onions and and peppers, add a little salt. Add the spinach and sauté until onions and peppers are caramelized. Turn of heat. Remove from pan and keep aside. In a bowl, add eggs milk, salt and pepper. Whisk well. Add feta and vegetable mixture. Mix well. In the same frying pan, put back on medium heat and add oil to the pan to ensure the omelette won’t stick. Add egg mixture and cook on stove top for 5 mins. Make sure your pan is oven safe. Place pan in the oven for 20 minutes.